If the future is anything like the past 25 years, Modern Portfolio Theory (MTP)’s “diversify and rebalance” will disappoint again, neither excelling to the upside nor materially protecting the downside. Retiring early and well will become just another shattered fantasy. Still, clients continue to invest, and their expectations run high when putting funds in the care of professionally managed retirement accounts. As a financial advisor, how can you filfill client expectations with MTP’s inferior tools? Institutional Money Managers and Hedge Funds have long had access to high-performance, rules-based algorithms. Now, AlphaDroid’s True Sector Rotation and StormGuard algorithms empower retail advisors to compete on an investment performance basis with Wall Street powerhouses. In Behavioral Economics, Kahneman and Tversky’s “Prospect Theory” showed that investment risk is about the probability of actually losing money (not about standard deviation), and that losing a dollar is many times more important than earning one more dollar. Unfortunately, risk is not a one-dimensional problem cured by a single act of diversification. We have worked long and hard to create successful solutions. Our StormGuard algorithm takes precedence over True Sector Rotation. We developed StormGuard-Armor to be the most advanced market safety/direction indicator. AlphaDroid charts have eight different measures of risk. We teach portfolio design for Conquering the Seven Faces of Risk. Unlike other investment theories, AlphaDroid’s algorithms make decisions based on “what is already happening,” not based on cycles, patterns, correlations, or opinions of “what should happen.” We employ complex signal processing algorithms from the cross-disciplinary science of electronic communications theory to optimally extract trends from noisy market data. This allows advisors to identify asset classes and sectors that are showing strength in any market condition, even if the strongest asset class is cash. Having a disciplined, rules-based system of buying and selling helps to identify and capture profits, and, more importantly, to avoid losses incurred when holding a declining position over long periods of time. It is only by owning the trend leader and avoiding the laggards that one can simultaneously improve returns and reduce risk. Proponents of MPT often refer to the need to “stay the course” in reference to the lost opportunity of missing the best days in the market. What they fail to acknowledge is the value of missing the worst days in the market. An independent study examines the Lost Decade (January 1st, 2000, and January 1st, 2010). This is arguably one of the worst investment periods in history. An initial investment of $10,000 in the S&P 500 at the beginning of this period would have been worth $8592 at the end of that period. 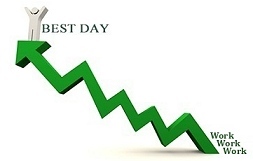 The study shows that missing the 10 best days during that 10-year period would have dropped the value to $4443. That is clearly a significant reduction in return and the reason why MPT fans advocate staying fully invested at all times. However, if instead of missing the best days, we had missed the 10 worst days, our $10,000 investment would have grown to $17,515. With that type of impact on return, doesn’t it make sense to spend at least as much energy on trying to avoid market drawdown as you do on the upswings? Your clients deserve and expect professional account management to proactively address both capturing the best days and avoiding the worst days. Our sector investment strategies are designed to provide advisors a systematic and disciplined way to do just that. For additional details on our financial planning software for advisors, please review Our Technology page.